Racks are often used to turn rotary motion into linear motion. 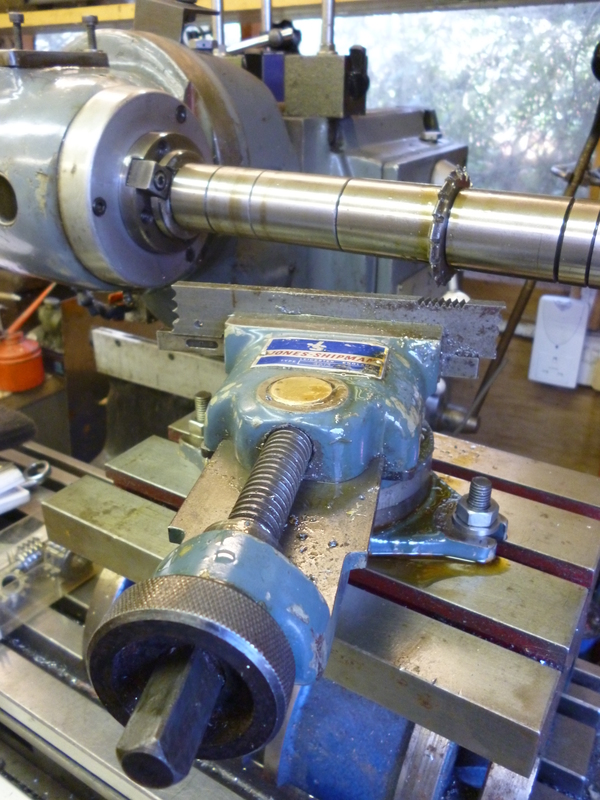 Another example is on a parting off slide where the rotary motion of the handle causes the slide to move across the bed of the lathe. Examples are turning the focusing knob on a microscope which causes the optics of the microscope to move linearly towards or from the specimen. In these cases the rack is usually helical. A rack can be made in several different ways. The key limitation is the length of the rack that can be made. 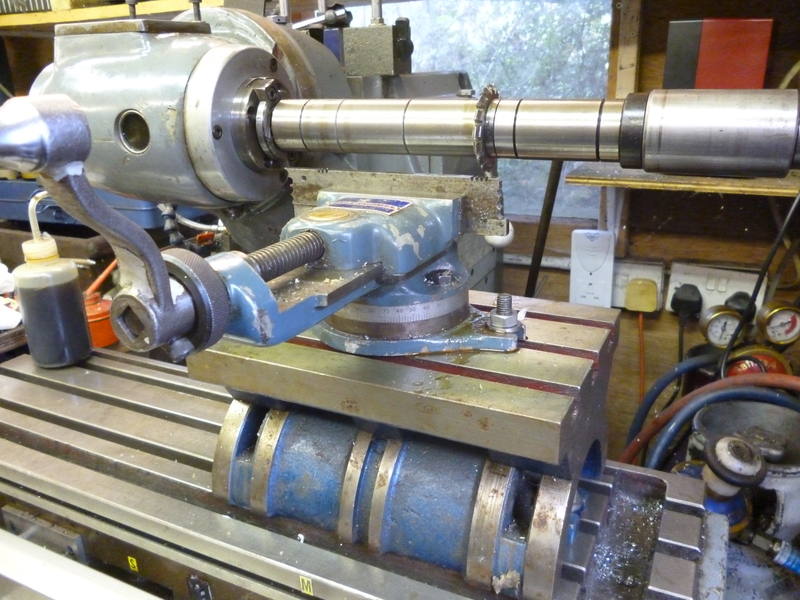 In general the longest rack can be made by using a horizontal milling machine. 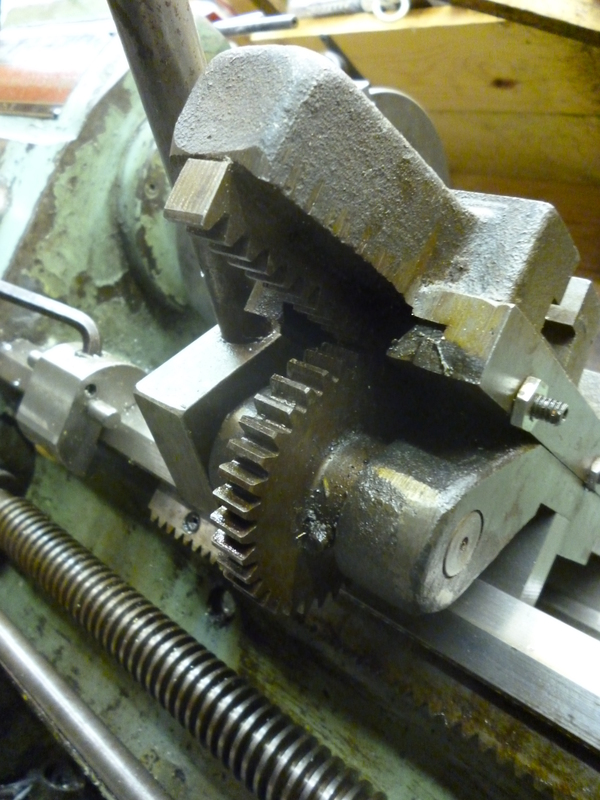 In the home workshop the easiest way to make a rack is to cut each tooth using a Brown and Sharp type of gear cutter. The longest rack possible is determined by the length of the movement in a particular direction so long as it is possible to have the cutter cutting across the workpiece as it moves in this direction. Gear cutters are designed for use on a horizontal milling machine. The workpiece has to lie across the width of the table. This means the maximum length of the rack that can be cut is roughly the distance the milling table can move in the y direction. The problem with a rack is that it is long and thin. It can be clamped at the ends but the middle has little stiffness. The solution is to use a sacrificial fence. The maximum length of the rack is roughly the space between the cutter and the top of the stub arbor. That is, roughly, the length of the stub arbor. But if the length of the stub arbor is increased the length that can be cut increases. This leads to method 3. The arbor that is longer than the stub arbor is the arbor that is used for horizontal milling. This can be used in the vertical socket if the vertical head is turned so that it is horizontal. In this case the arbor is not supported at the far end so the length of the rack is limited by the rigidity or the lack thereof of the arbor. In this example the length is about 150mm.This cutter is mod 1. Since a rack can be seen as part of a spur gear of infinite radius the spacing of the teeth will be the circular pitch for this size of tooth. It is worth using a spreadsheet to calculate of each tooth the spacing from the first tooth. Since a rack is part of a spur gear of infinite radius it follows that the teeth are just in the form of a straight line, though at an angle to the rack. This means that the cutter used is the same in this case ie number 8. When cutting a helical rack using the method shown above the spacing of the teeth is slightly smaller than it should be because the helix angle. A movement in the y direction by the milling table is not the same as a movement along the rack. There are two other ways of cutting racks not covered here. 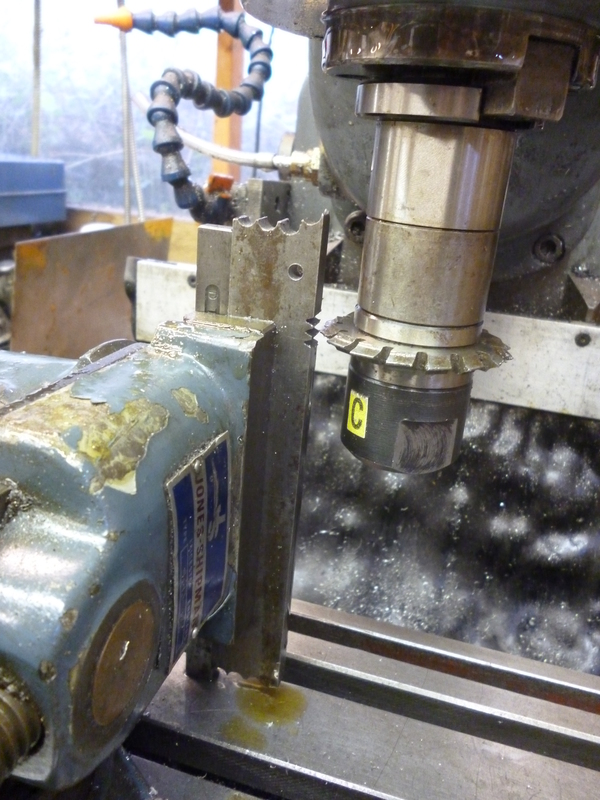 Firstly the workpiece can move in the x direction and a separate milling spindle is fitted to the milling machine so the cutter cuts across the x direction. Secondly, on some vertical machines it is possible to fit a right hand drive to the vertical head. Usually, this head can be fitted so the cutter can cut across either the x direction or the y direction (or at any other angle).